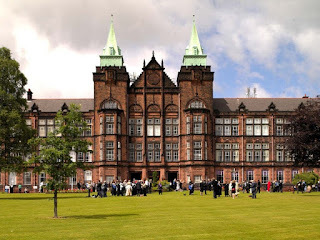 Strathclyde University (University of Strathclyde) was founded in 1796; in Glasgow, Scotland. Strathclyde University is one of the oldest and traditional British universities. According to The University Guide 2016, the school ranked No. 1 in Scotland and ranked 11th in the UK in the business sector. At the same time, business studies at the school are also ranked 48th according to the trust of 3 organizations EQUIS, AACSB, AMBA; and was the first school to teach the MBS program in the UK since 1996. >> About Law: ranked 15th in the UK according to The University Guide 2016. 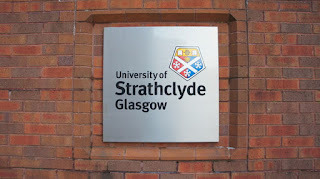 Strathclyde University is a vibrant and modern university with nearly 16,000 students and more than 3000 employees. With over 15,000 college students, of which 80% live in or near the campus in the heart of Glasgow city. About 10% of international students come from over 100 countries around the world. Strong Alumni team with ¼ overseas is also the school's advantage.